A brand new book called Trampled Under Foot by Barney Hoskyns has just been published by Faber and Faber on 6th September. 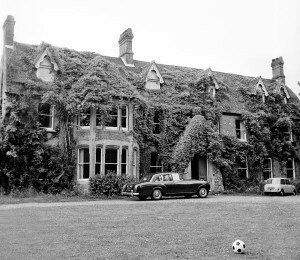 Barney contacted me as he wanted to use the photograph I took of Headley Grange in 1973 as this was the building that Led Zeppelin’s Stairway To Heaven was conceived. 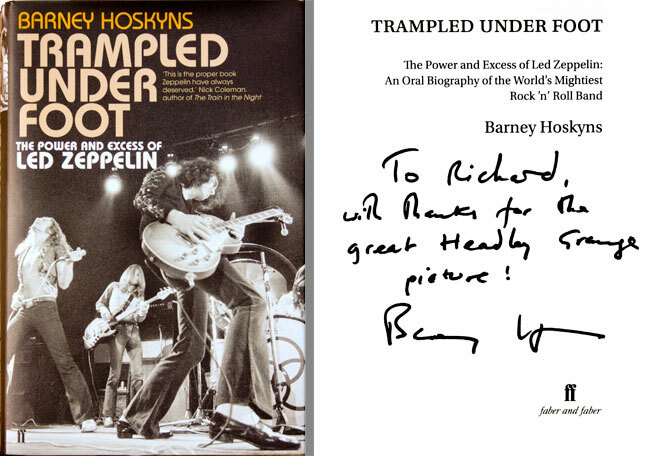 Barney Hoskyns, founder of Rock’s Backpages , Trampled Under Foot is an essential music book for 2012. The book is a unique look at the history, adventures, myths and realities of this most legendary and powerful of bands, it is a labour of love based on hours of first-hand and original interviews. What emerges is a compelling portrait of the four musicians themselves, as well as a fresh insight into the close-knit entourage that protected them, from Peter Grant to Richard Cole to Ahmet Ertegun, giant figures from the long-vanished world of 1970s rock. Featuring many rare and never before seen photographs, it is also the first book on Led Zeppelin to cover such recent events as their triumphant 2007 O2 Arena gig and Robert Plant’s Grammy-winning resurgence of recent years.